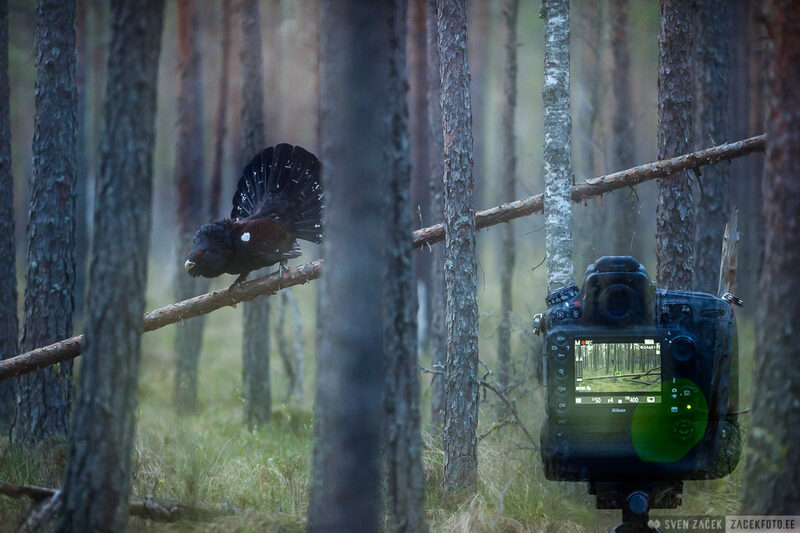 In Estonia the bird of the year 2018 is the Capercaillie. Here is a double exposure of my camera and its motif. As you can see from the screen the vain gentleman was so impatient that by the time I took a photo of my camera it had already climbed higher on the pine trunk.